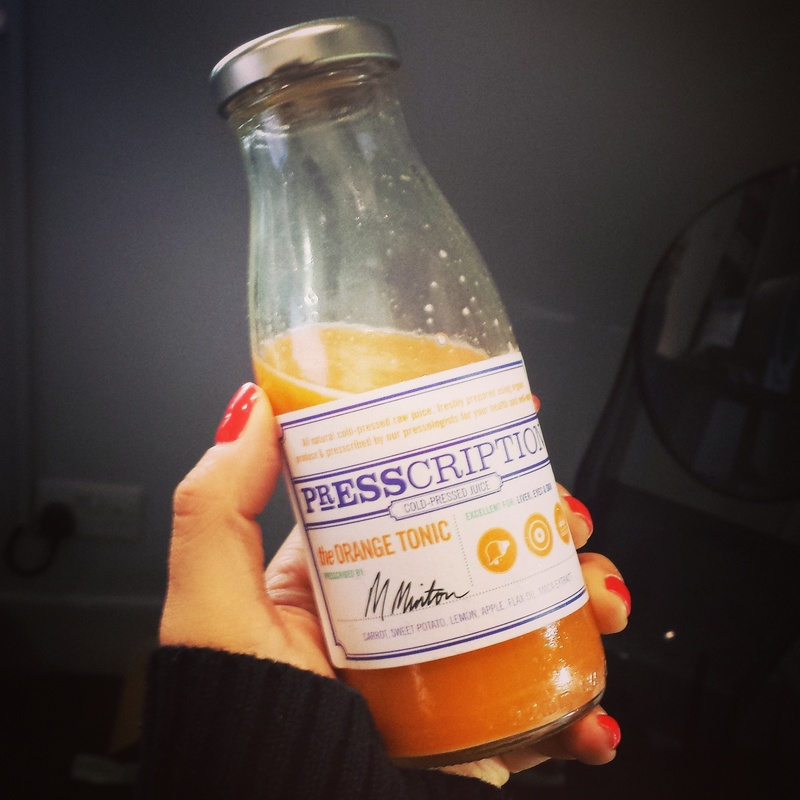 Presscripton has 3 experts behind the juice – Dez Dorman- Holistic Practitioner, Nutritionist and Homeopathist, Keith Cormican – Nutritionist and Tatu Bearcroft – Head Food Chef and Nutritional Consultant. Plenty of sound background knowledge there to put together some fab juices!! Delivery across Greater London. Click here to see if your postcode is listed. I love the approach that Presscription takes to juices, the little images on the bottle which clearly lay out where your body benefits from each particular juice and their website is a very thourough source of info as to why their juices are good for you. Even more specific and impressive is a breakdown on why their Norwalk ‘Rolls Royce’ of centrifugal juicers are such a superior method of producing fabulous juice. I have to say I have always noticed that I have liked the juices produced by this particular piece of machinery and now I understand a lot more clearly why . Take carrots as an example – a normal centrifugal juicer will get 501mgs of calcium out of said carrots, rather than a huge 2708mgs with the Norwalk! 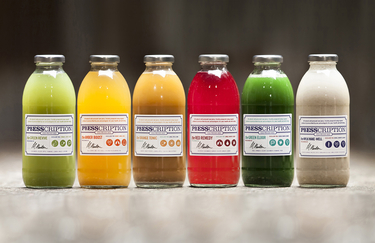 Anyway – I feel the Presscription juices are well thought and good quality. The Orange Tonic was certainly unusual – it contains sweet potato! I enjoyed having something so different although may not be a flavour to suit everyone. I love a morning wake-me-up-and-start-the-day-right kind of juice so their Green Revive is perfect for that – a good spicy kick start but tasty as well.